Right now (from July 1-31, 2018) Stampin’ Up! is offering one FREE family of Classic Stampin’ Pads of your choosing as part of your regular demonstrator Starter Kit. You will get over $192 worth of products for only $99 (with free shipping) during this promotion. This promotion is the perfect opportunity to join my team and the Stampin' Up! family. *Choose $125 worth of Stampin' Up! products. 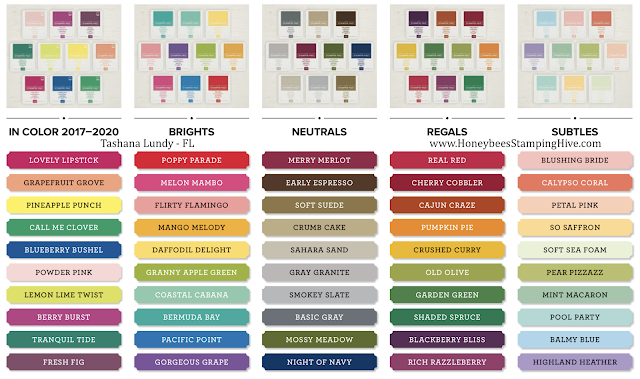 *Choose one family of Classic Stampin' Pads (a value of $67.50) for FREE. *Receive a minimum of 20% discount on future Stampin' Up! purchases. *No obligations after you purchase the Starter Kit. Join for the deal...to build a business...or to get a discount. It's your choice. 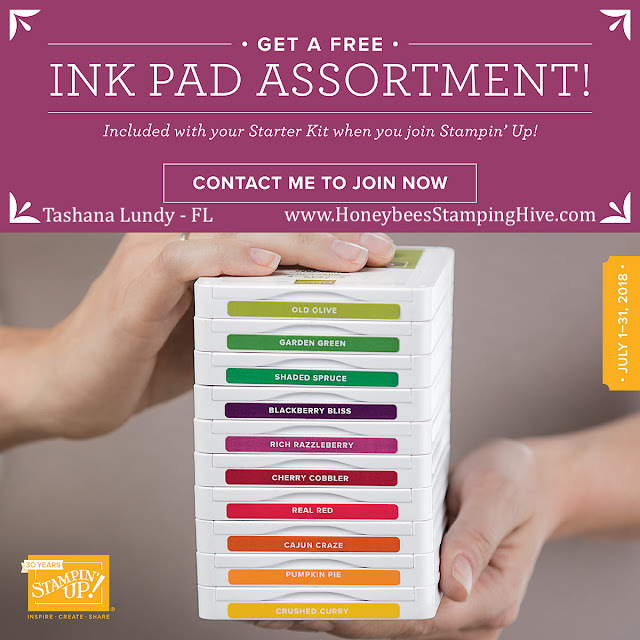 All are welcome to be members of my team, Honeybee's Stamping Hive. *2017-2020 In Color bundle is exclusive to this promotion and includes all 2017-2019 and 2018-2020 In Colors. You only have about 5 more days to take advantage of this great deal.